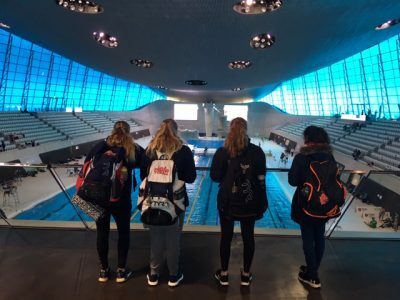 Our Year 9 swimmers proved that they are indeed Top Ranking during the English Schools National Swimming Championships in London Aquatics Centre – the home of swimming for the 2012 Olympics. The Secondary Schools Team Relay Championships is open to secondary school aged swimmers from across England and this year there were 137 separate schools taking part in the event. 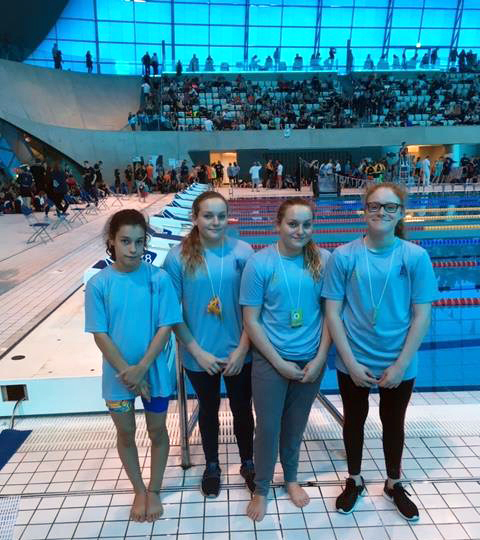 Teams competed in 4x50m Freestyle and Medley relays. Our girls finished in the Top 30 in both events. Congratulations to Georgia, Lola, Macy and Sarah!